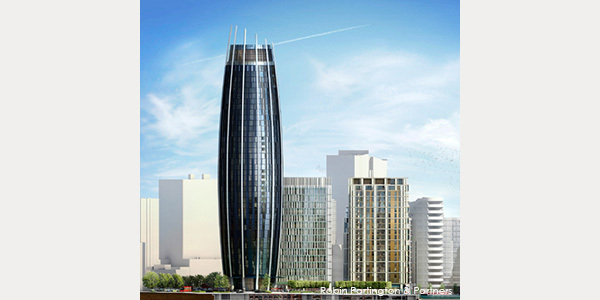 High-rise residential tower in west London. 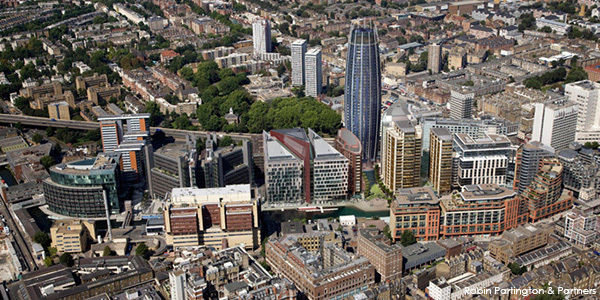 1 Merchant Square is part of a new Paddington development by European Land. 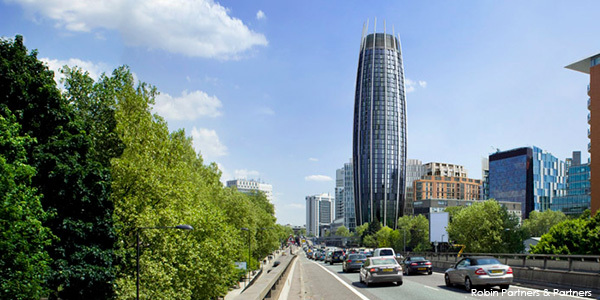 We are working with Robin Partington and Partners on this non-uniform spindle-toroidal 42 storey tower which is currently in the exciting stage of design and development. The greatest challenge is presented by its subtle but technically significant geometry. 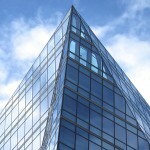 Developed as a faceted facade, the shape of the building demands trapezoidal units. The varying inclinations of each floor give differing unit heights and widths. These criteria pose a number of potential system solutions each of which are being considered alongside their unique advantages. 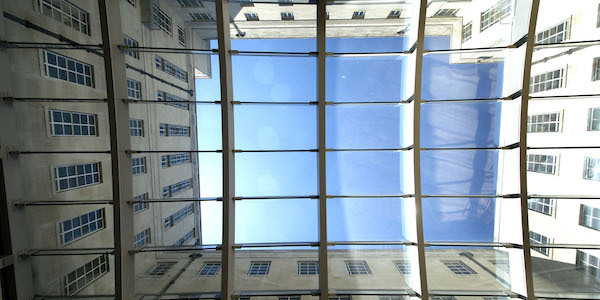 The building is to accommodate a boutique hotel behind the lower outward inclined facades. The upper floors house the private residential apartments, whilst the top levels will provide panoramic views from the publicly accessible glazed Sky Bar. 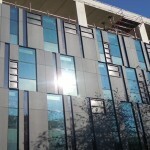 The facade consists of a rich palette of materials, each of which is being interrogated through our system of decision matrices highlighting material properties and manufacturer capabilities. Each of the potential materials present alternative support solutions and therefore it is a key area to conclude at the earliest opportunity. 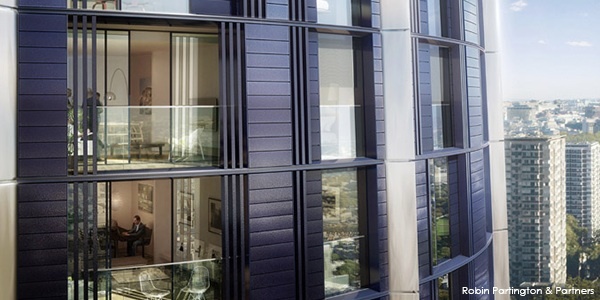 The white fins, extending vertically in front of 1 Merchant Square’s perimeter structural columns, require curved profiles and bespoke panel shapes and surface finishes. High gloss midnight blue terracotta projecting trapezoidal panels contribute to the sense of depth of the facade and give a long lasting quality finish. Developing solutions to use these materials in an efficient way on this complex form is a key component of our work in this stage. 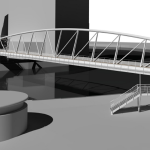 We are coordinating with the respective disciplines to enable an informed development of the overall design. An early understanding of the thermal, daylighting, acoustic, structural performance criteria and the installation and maintenance strategies will improve the efficiency of the design at the later design stages. We are employing our early stage qualitative analysis techniques to allow the design to be developed to the required level at this stage without carrying out unnecessarily detailed calculations and analyses. Sitting in the Merchant Square development in Paddington, this project will become a significant beacon to the area.